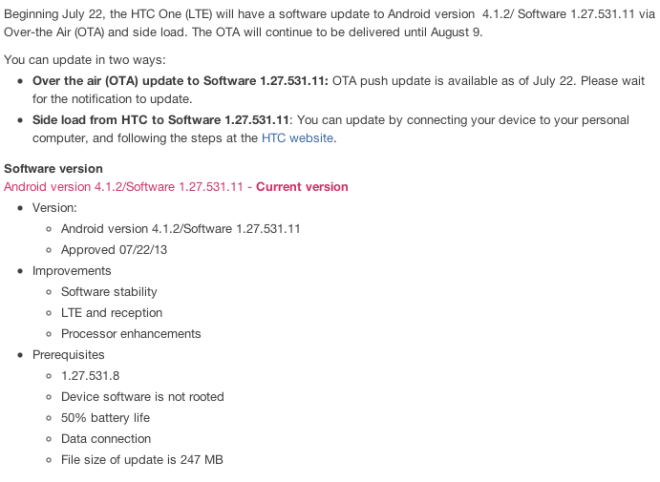 The recent HTC One software update was been welcomed with open arms in thanks to its LTE connectivity fixes and overall improved performance. Unfortunately, the welcomed fixes brought about one negative change with the accidental removal of the HDR functionality from the camera app. Have no fear however as HTC worked fast and managed to push out a fix that’s now available Settings > About > Software Updates > Check now. Ultimately, this shouldn’t have happened in the first place but I’ll still give HTC a small round of applause for the quick 48 hour turnaround. Keep an eye out for the fix. got the fix and it only took a few seconds. Same here. It was less than 20 seconds to download and install. My suspicion is that the “update” was simply to re-insert the missing HDR option into the menu. There didn’t seem to be enough download/install to make any significant changes to the core software! The whole camera app uncompressed is only a couple MB, so it could be the whole thing or just a tiny part thereof. Regardless, GG HTC! I like how they made it a simple application update instead of a full blown software update. is anyone having camera focus problems after update. I’ve been OTA’d! No notification though. I want 4.2.2!! !